This research work targets the effectiveness of the prepared activated carbon from Jatropha curcas and Terminalia catappa seed coats for the sorption of methylene blue (MB) from aqueous solution. The prepared Jatropha activated carbon (JAC) and Terminalia activated carbon (TAC) were characterised using Fourier transform infrared spectroscopy (FTIR), Scanning electron microscopy (SEM) and Branauer- Emmett-Teller (BET) surface area analysis. 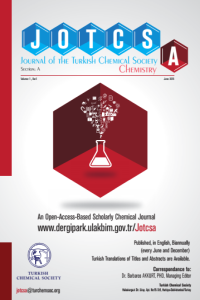 Effect of initial concentration, pH, contact time, adsorbent dose and temperature on the sorption experiments were studied and the adsorption capacity of these adsorbents were found to be 37.84 mg/g and 17.44 mg/g for methylene blue uptake by JAC and TAC respectively. The experimental data were analysed using Langmuir, Fruendlich, and Dubinin-Radushkevich isotherms. The data fitted best into Langmuir isotherm for Methylene blue-JAC and Methylene blue-TAC systems. The kinetic studies fitted into pseudo second order kinetics model. The process chemistry was exothermic. Juejun K, Supunnee J, Chaiyot T. Comparison of Kinetic Models for CO2 Gasification of Coconut-Shell Chars: Carbonization Temperature Effects on Char Reactivity and Porous Properties of Produced Activated Carbons Engineering Journal. 2012 August; 17: 269-278. DOI:10.4186/ej.2013.17.1.13. Odebunmi EO, Okeola OF. Preparation and characterization of activated carbon from waste material. J. Chem. Soc. Nigeria, 2001; 26(2): 149 – 155. Saha B, Tai MH, Streat M. Study of Activated carbon after oxidation and subsequent treatment: Characterization. Process safety and environmental protection. 2001 July; 79:211-217. DOI:10.1205/095758201750362253. Ansari R, Masoudi M. Inter. J. Chemistry. 14(3) (2004) 139-142. Langergren S. Zur Theorie der Sogenannten Adsorption Gelöster Stoffe, Kungliga Svenska Vetenskapsakademiens. Handlingar, 1898, Vol. 4 pp. 1-39.